Key Difference: Cyber security is solely related to the digital realm and deals with everything that is connected to the internet. On the other hand, information security deals with information and data both online and offline. Everything has gone digital, from businesses to even our social lives. The digital sphere has become a prominent realm today, where it dominates everything that we do. Smartphones and cheaper data plans have actually made working in the digital realm even easier. These days, everything from our documents to our music to even our photos, everything is online. And with that much sensitive information online, security has become one of our biggest concerns today. This is where these two words, cyber security and information security, come into play. With the fast pace of the digital world, a lot of people are confused about how security even works and how secure the digital spectrum actually is. This is also what has made people hesitant to actually shifting fully to the digital sphere. However, whenever we talk about security – the words cyber security and information security are constant. For many people, the words are the same, while for others both the words are different and are often used in different context. Let’s simplify the words and take a look at what they actually mean and how they are similar or different from each other. 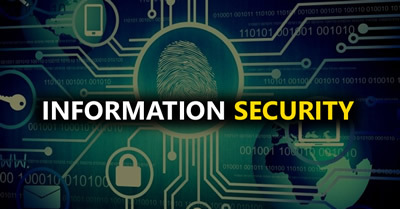 Cyber security is solely related to the digital realm and deals with everything that is connected to the internet. This includes all online accounts, internet connections, phishing, baiting, data breach, etc. The cyber security is related to the cyber space and also includes data and information that in that sphere. On the other hand, information security deals with information and data both online and offline. It is defined as the protection of information from unauthorized use, disclosure, disruption, modification, etc. It seeks to maintain the privacy of the data regardless it is online or in a file cabinet. This is the main difference between the two: cyber security deals with everything online and information security deals with information – online and offline. However, there is a reason why both the terms are often used together under computer security. Both are extremely important to ensure that all your data as well as other information are secure in the digital as well as non-digital sphere. 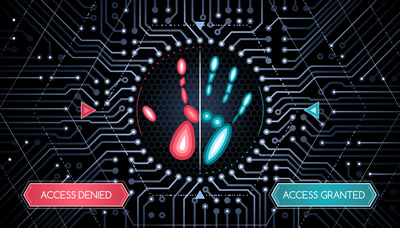 While some might say that information security can be considered as a subset of cyber security since protecting information is a part of cyber security, others claim that cyber security should be considered as a subset of information security because cyber only deals with data online, while information deals with both online and offline. Both can be right and wrong, because they both actually go hand-in-hand. Security of protocols, accounts, phishing, and the general digital spectrum, results in safety of information as well, and vice versa, protection of information can help strengthen your security online. The ability to protect or defend the use of cyberspace from cyber-attacks. The protection of information and information systems from unauthorized access, use, disclosure, disruption, modification, or destruction in order to provide confidentiality, integrity, and availability (CIA). Phishing, Baiting, Data Breach, etc. Includes protecting anything in the cyber realm including email accounts, social media accounts, banking accounts, information, etc. Deals with everything related information regardless if it is online or offline.